Who will win! Challenge a robot to a little bit of air hockey it is bound to be a nail biting game! Experience science in extraordinary ways at Questacon – The National Science and Technology Centre. Explore more than 200 interactive exhibits on topics from astronomy to zoology and everything in between. 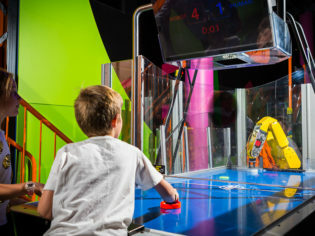 Bend mind and muscle in Excite@Q as you freefall down a six-metre slide, battle a robot at air hockey, and test your throwing speed against your friends. Or unleash your inner scientist with Q Lab’s ever-changing array of intriguing experiments and let lightning spark your imagination in Awesome Earth. Little scientists and their carers will enjoy Mini Q as they play, discover and learn in an environment specifically designed for zero to six-year-olds. No visit is complete without watching – or even starring in – a Spectacular Science Show. These shows change daily and will have you on the edge of your seat with explosive experiments and entertaining characters. 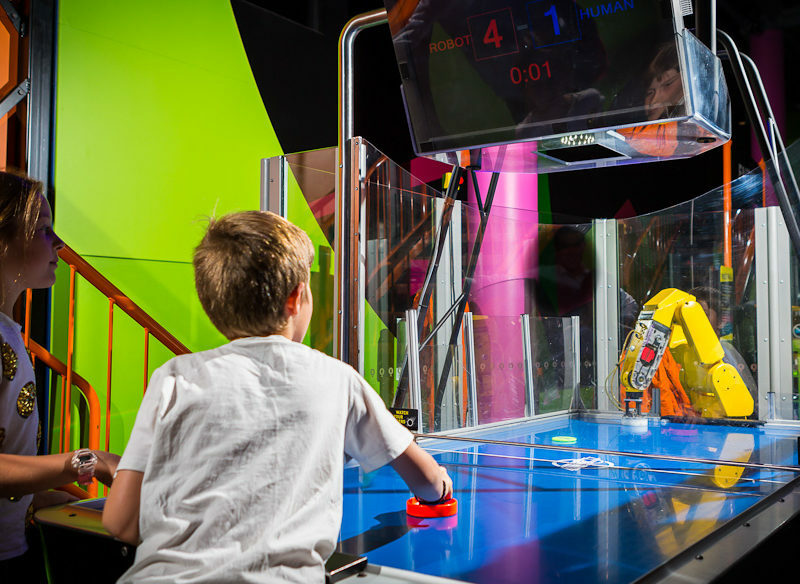 Discover the smarter way to have fun at Questacon!